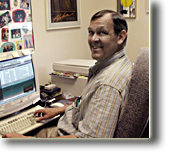 Ted Padwe and Glen Wass have been partners since 1980 when they started American Data Systems Inc. in California. The Corporation was formed to write and maintain airline software. As the company grew, it relocated to Plattsburgh, New York in 1984 and reorganized into Champlain Database Designs LLC. Over the years, we have served over a dozen airlines. In the process, we have become experts in computers, networks, communications, and Internet applications. 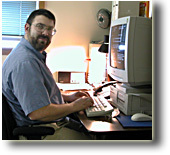 From 1985 through 1995 we also started and operated Computer Works, one of the most reputable personal computer stores and service centers in the North Country. Today, we maintain our airline systems, but are also involved in maintaining PCs and networks for selected clients. We have the expertise to handle most PC desktop, server, laptop, and communications issues. Daniel Schneider and Mary Horton are long time members of our Plattsburgh team.